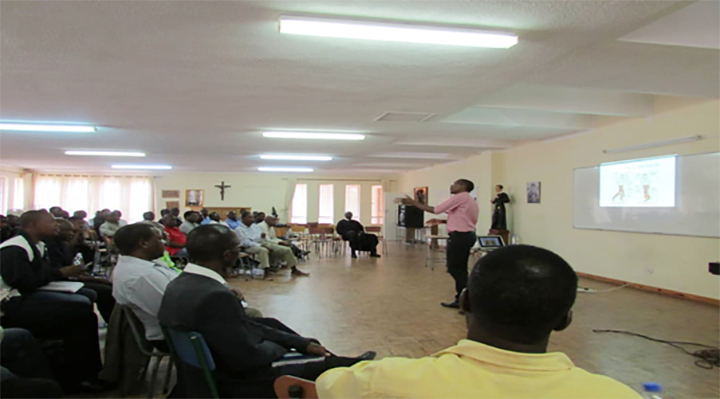 (Harare, Zimbabwe) Catholic men from the Redemptorist parishes gathered on the 1st of December this year at Alphonsus House to share and exchange ideas on various issues which affect men’s lives at a symposium organized by the Redemptorists Lay Collaborators (RLC). The symposium was celebrated under the following theme: “Men as role models for the youth in this year of the youth.’’ The theme was chosen based on the recent ‘Synod on Young People”. 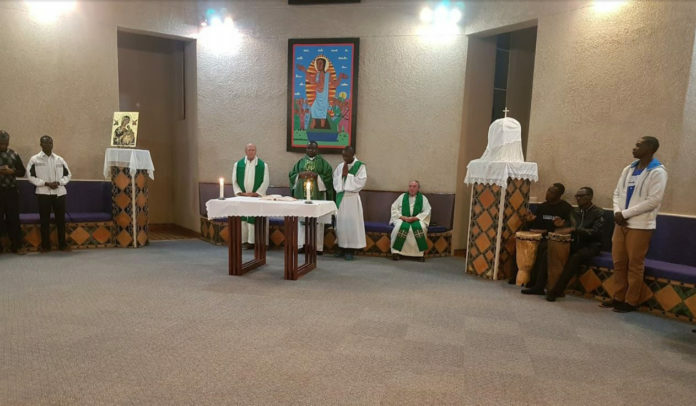 One of the organizers of the event, Innocent Magaya, in a statement, read on behalf of the chairperson for the Redemptorists Lay Collaborators, L.T Manatsa said “The Year 2018 being the Year of the Youth, many of you will be aware of the concluding of Synod on Young People which was held at the XV Ordinary General Assembly of the Synod of Bishops in Rome,”. 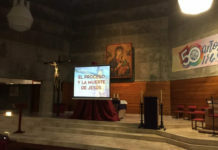 Young people who were mainly drawn from the Redemptorists parishes were given the opportunity to share their thoughts at the symposium since it is a year dedicated to the youth. 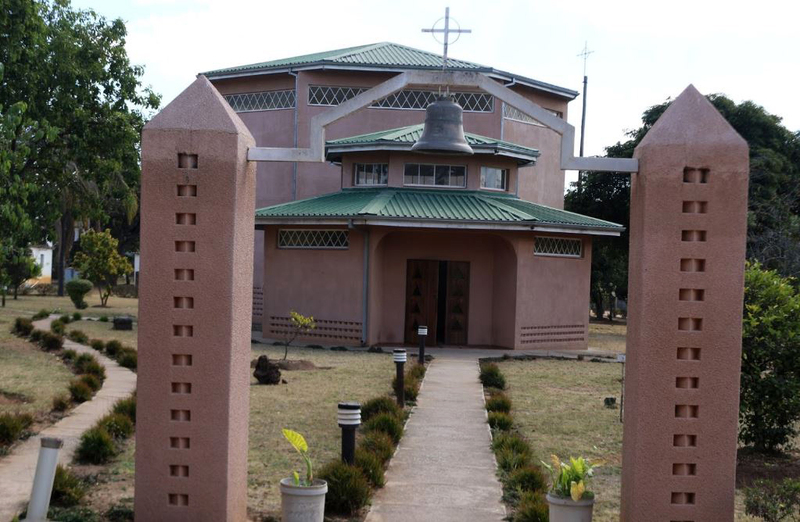 One of the youths from St. Clement Centre, Miss Polite Muwengwa expressed her expectations from the clergy: “We expect you (fathers) to serve us in difficult times.’ However, Muyengwa also told fathers to consider gender equality when raising children. “We expect you (fathers) to treat us (girls) equally with our brothers since we are all children,’ said Muwengwa. Her call for gender equality came at a time when various local civic organizations gave emphasis on gender equality and women’s empowerment. The country also showed its commitment to promoting the same by formulating a National Gender Policy. Another young woman from St. Gerard’s parish, Gamuchirai Mbetu, who is also a lawyer, told the menfolk what she expects of them. “Men should provide their children love, care, and support,” said Mbetu. She also encouraged men to spend time with their children and also avail the children the space for self-thinking and creativity. Mbetu also noted with concern that some men just came in as ‘biological fathers’ without giving care to their children. She told men to take part in raising and nurturing children. However, in the process of raising and nurturing children, one of the presenters, a Ph.D. student in the USA, Father William Guri C.Ss.R, encouraged men to seriously consider the ideal of ‘ubuntu’ or ‘unhu’. “Ubuntu means I am, therefore, we are,” said Father Guri. The ideal of ubuntu was popularised by a South African Nobel Peace Prize winner and anti-apartheid activist Archbishop Desmond Tutu. Father Guri reminded men that ‘unhu’ or ‘Ubuntu’ forms the basis of African spirit and unity and should not be taken for granted. “Hunhu hautengwe, hunodzidzwa,’ Father Guri spoke in Sabhuku Chivhunga language. However, Father Guri told the symposium that Gender Based Violence is one of the biggest threats to the ideal of ‘unhu/ubuntu’. He is also noted with concern the prevalence of GBV (Gender-based violence) in Zimbabwe, Southern Africa, and the entire world. “The majority of perpetrators of GBV are men,’ said Father Guri. He also told the forum that GBV indicated a crisis in men’s relationship and that all men should stop practicing Gender Based Violence. He further stated that Gender Based Violence is most prevalent in the SADCC region and in many parts of the world. In addition to the men’s health concern raised by Father Guri, one of the medical doctors, a consultant urologist, Dr S.C. Meki elaborated more on men’s health. Meki encouraged men to protect themselves from prostate cancer by taking care of their reproductive system. “Black men are at more risk of contracting cancer,” said Dr. Meki. 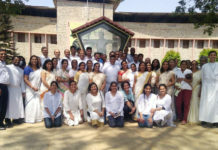 The symposium ended with the Holy Mass followed by a social gathering and networking. The Spiritual Director of the Association, Father Joseph Musandemi, presided over the mass and Father Guri concelebrated. 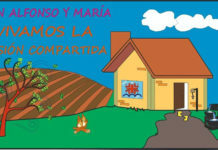 The idea of men’s symposium is a brainchild of the Redemptorists. The first symposium was held in 2017 at Arrupe College now Arrupe Jesuit University. It was a successful symposium where the participants were more than three hundred.